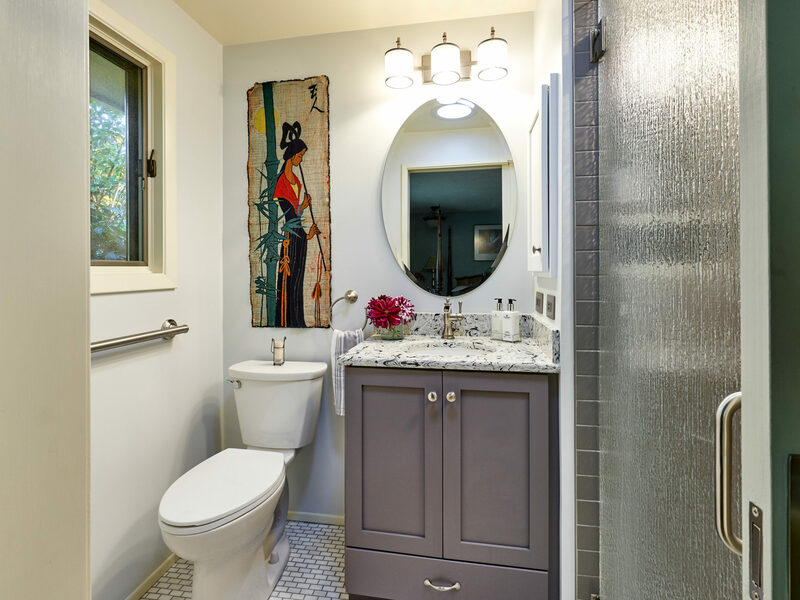 This bathroom remodel took a small, outdated space and brought it up-to-date with contemporary fixtures and a cutting-edge linear shower drain. 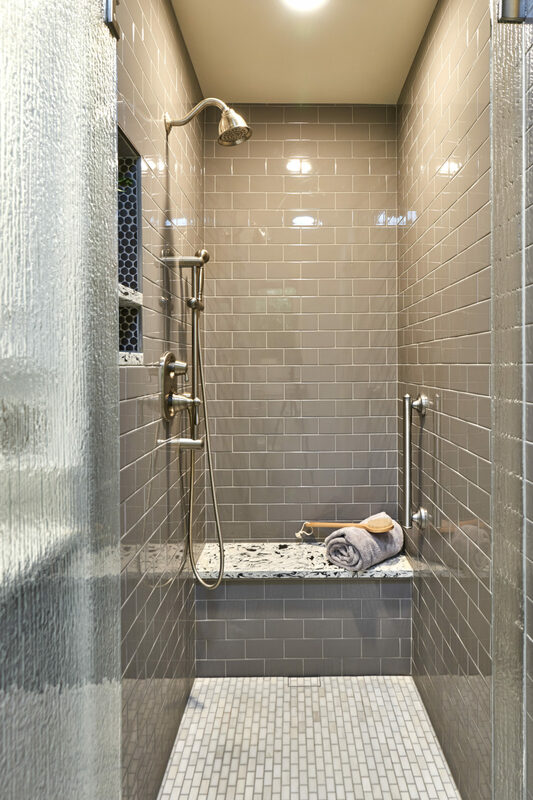 Swapping out an old, cramped, fiberglass shower with a much larger walk-in, not only improved the overall feel of the space, but made it safe and comfortable for clients even as they age. 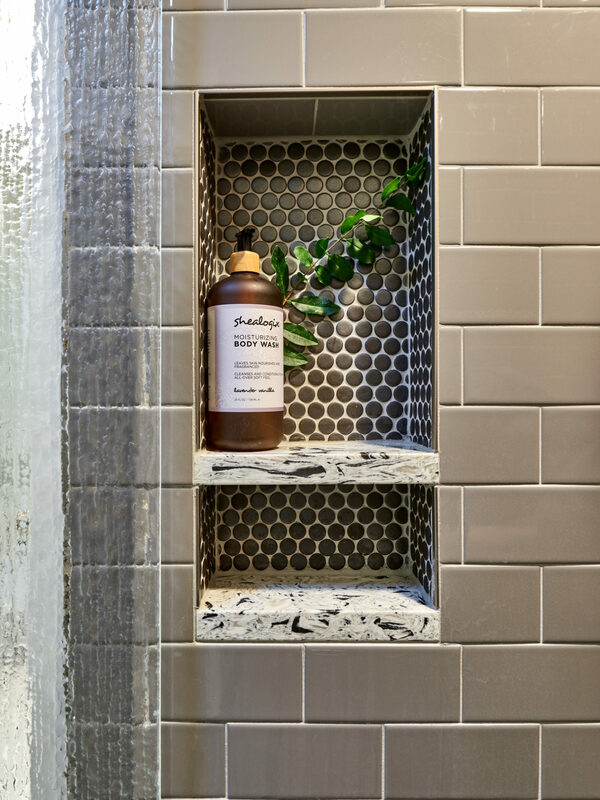 Adding more storage worked wonders at alleviating the clutter that bathrooms tend to accumulate. 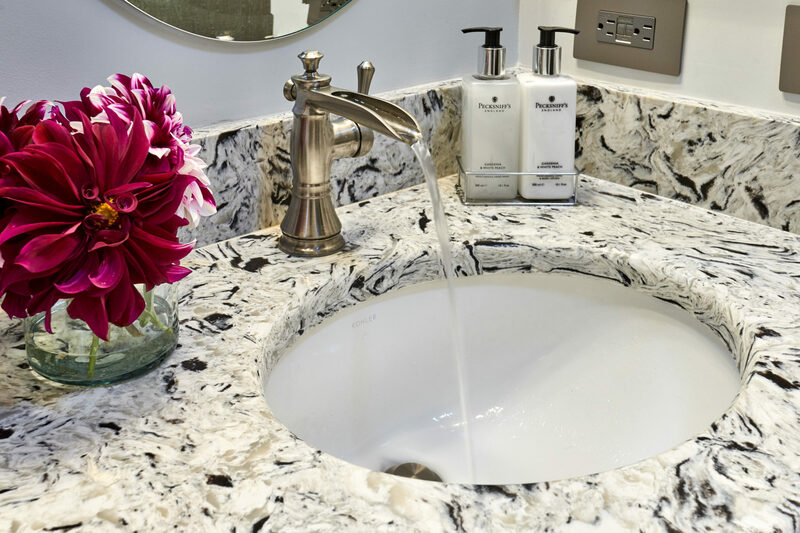 The project began with a small bathroom with disproportionate sized fixtures. 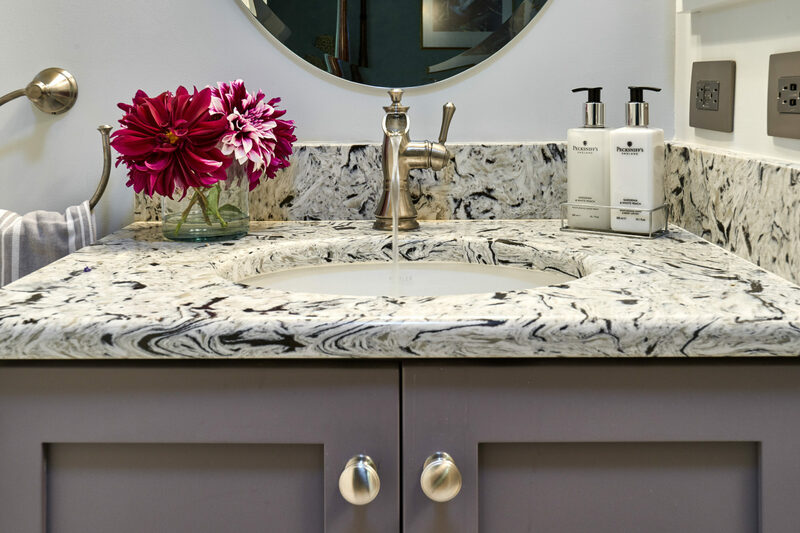 We removed the obtrusive medicine cabinet above the sink and replaced it with a recessed cabinet, placing it to the side of the sink, and hanging an updated mirror in its former location. The vanity was also replaced with a new but simple custom cabinet. The clean lines and gray color of the base match the rest of the neutral palette, but the quartz counter top adds a layer of interest without throwing any extra color into the mix. We also replaced the old, outward facing bulbs above the vanity with downward facing sconces which light the space much better. 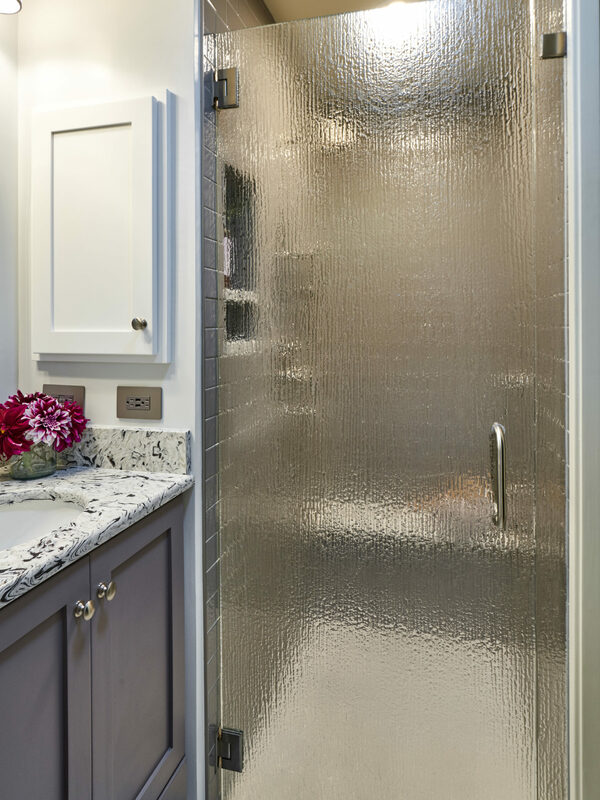 We added space to the bathroom by replacing the hinged door with a pocket door – this is an upgrade that can be expensive, but is often worth it when dealing with a space that is easily cut off by the swing of the door. The most notable upgrade was of course, the shower. This was our client’s main concern for the course of the project, as they wanted to upgrade to a larger tiled shower and make sure they could live in their homes for years to come. 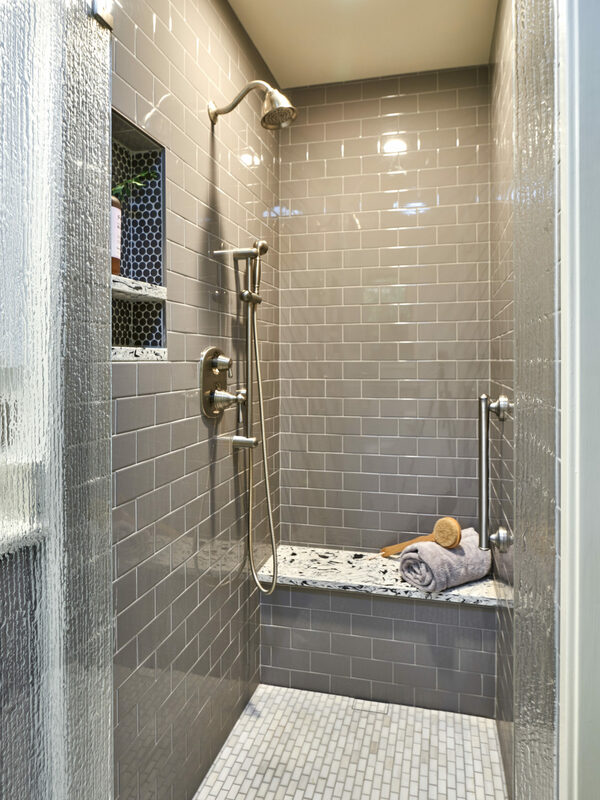 We were able to steal some space from a hallway closet to enlarge the shower, which left us with room for a bench and a unique linear drain, letting us remove the shower curb and make it the walk-in shower our clients were dreaming of. 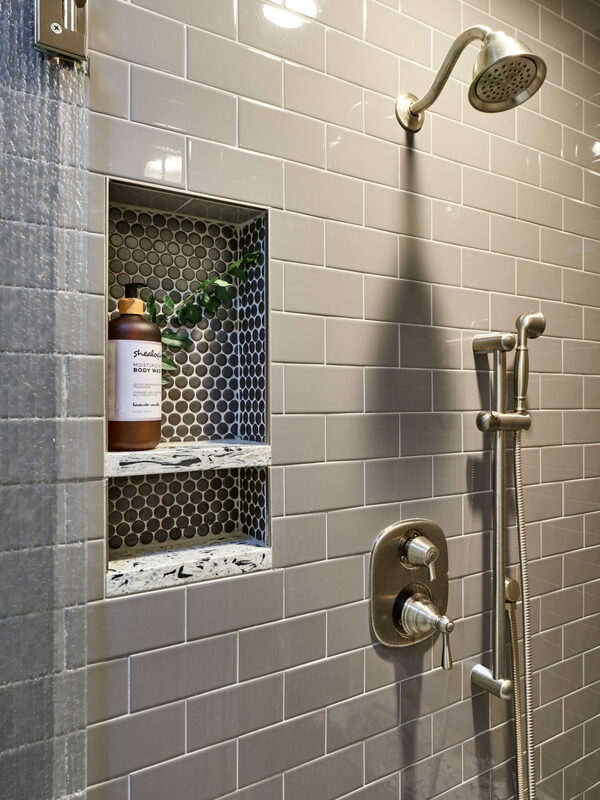 For the gray tile, we chose the Esmer Choice tile in the color Taupe Glossy, and our clients loved it. We installed it floor to ceiling and it ended up resulting in a very updated yet classic look. 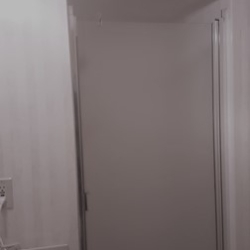 To tie it all together, the floor tile was consistent across the shower and the rest of the bathroom. 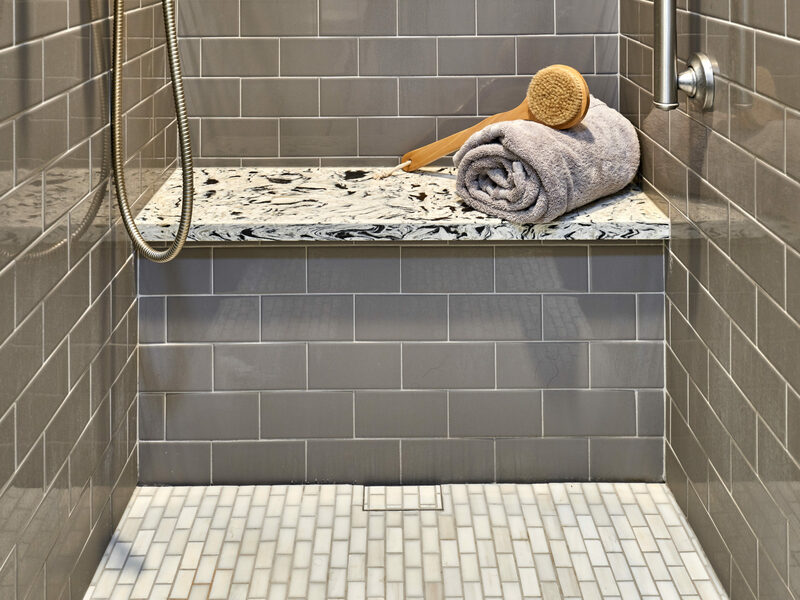 We chose the Ann Sacks Dolomite Bianco Mosaics for the floor for the small size in order to increase slip resistance. 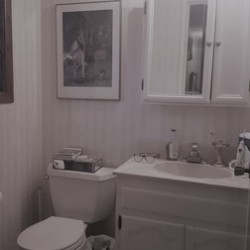 In the end, we were able to update the look of this bathroom to meet the style, storage, and safety concerns of our clients, who’ll enjoy this space for many years to come.